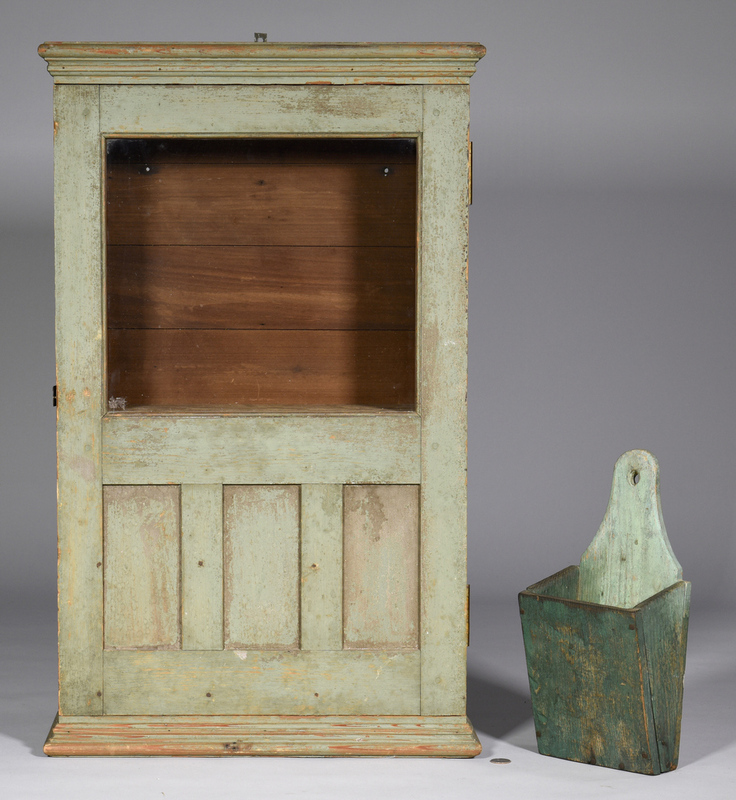 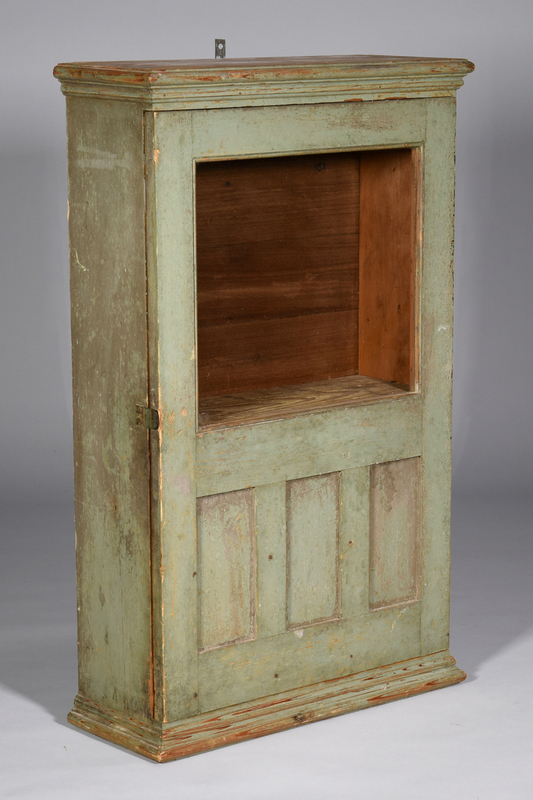 1st item: Southern, possibly NC, green painted hanging wall cupboard, poplar primary, yellow pine secondary. 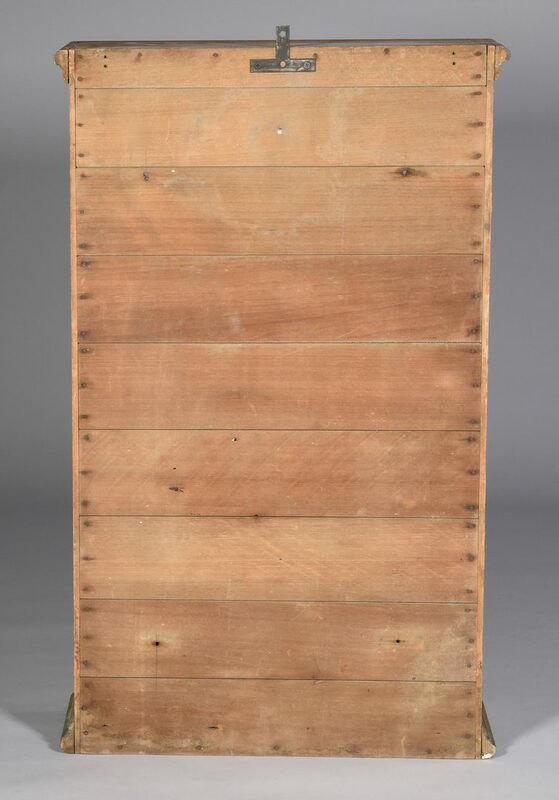 Ogee cornice with one door having a glass top and paneled bottom and base ogee molding. 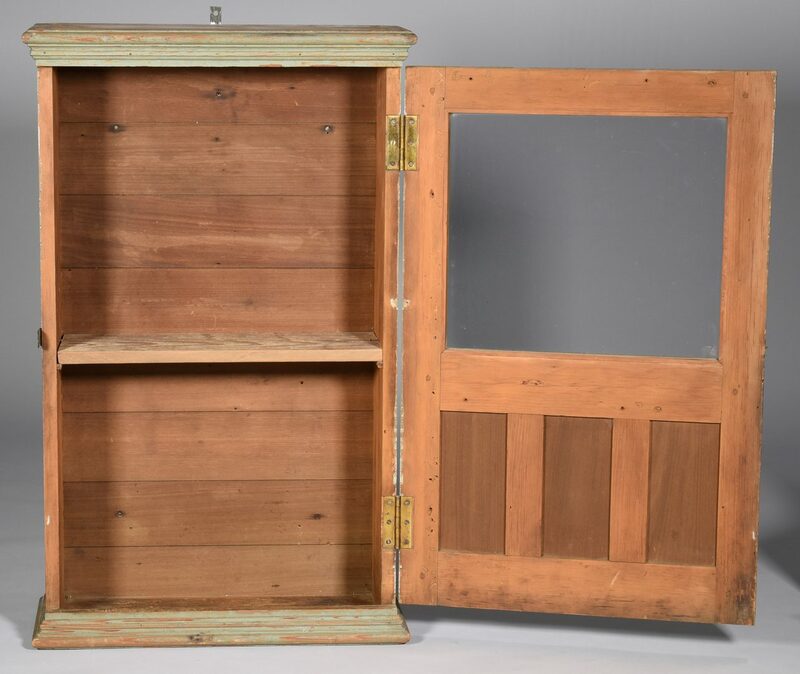 Interior fitted with one shelf. 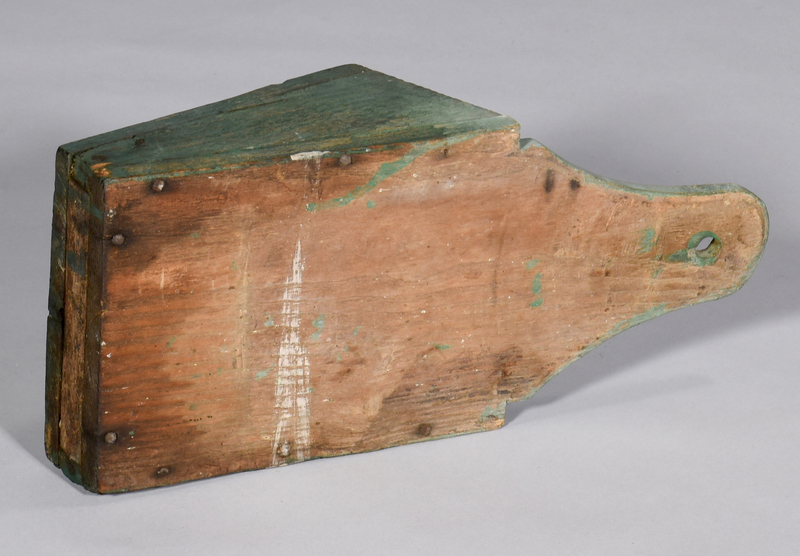 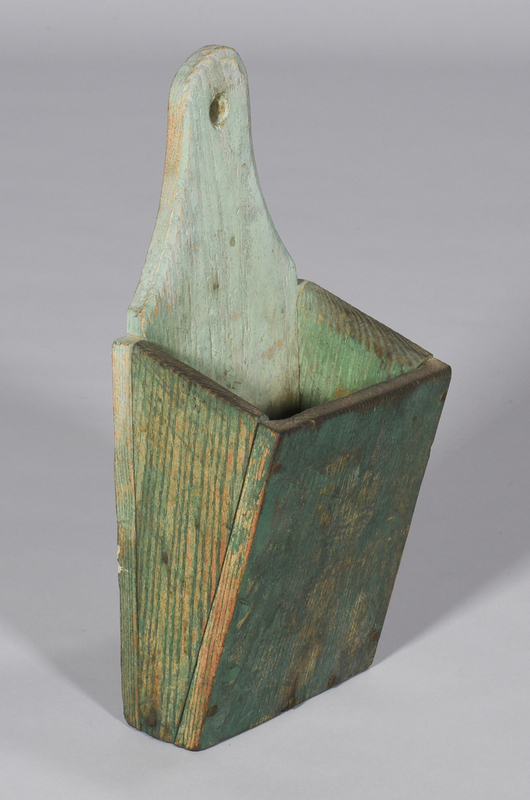 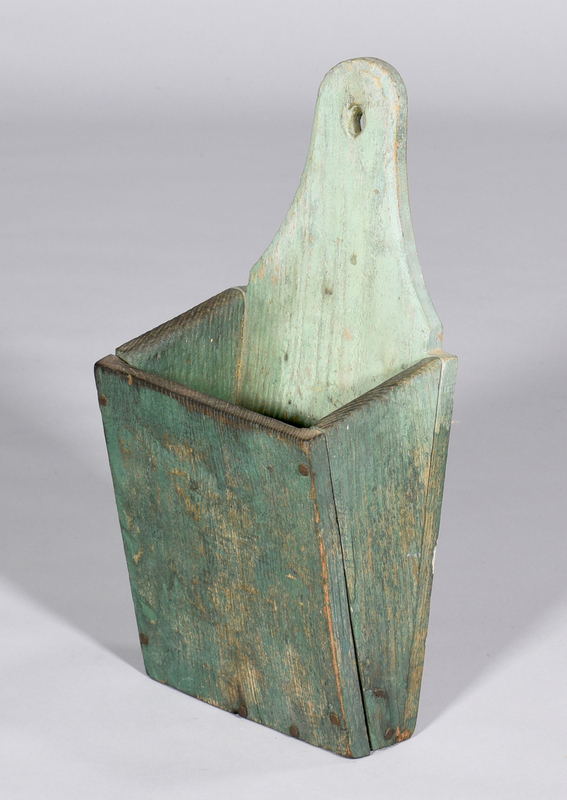 34 1/4" H x 21" W x 8" D. 2nd item: Green painted wall box, 15" H x 7" W. Both items late 19th century. 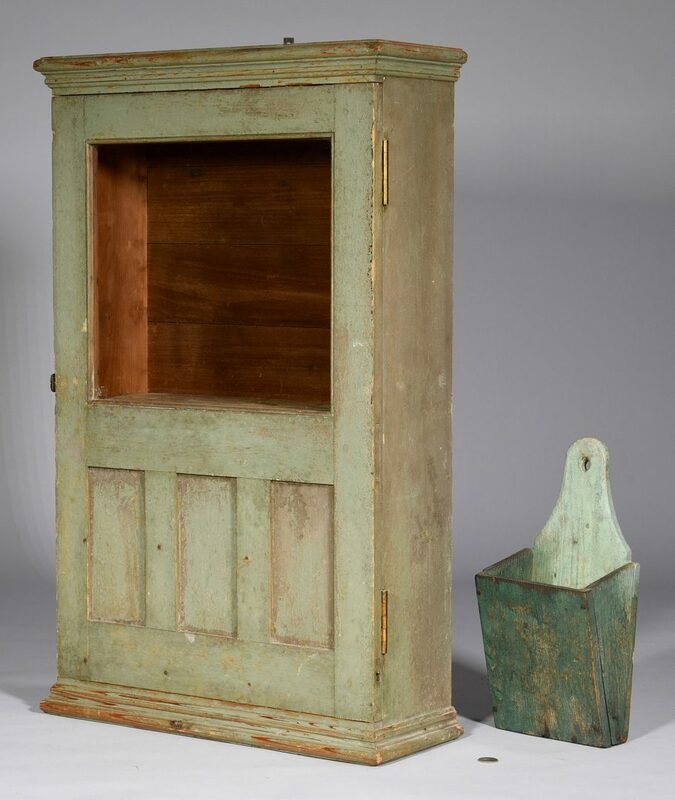 CONDITION: Both items overall good condition with general expected wear and losses.